Beautiful Twin Peaks - Dale Cooper With His Recorder Saying Diane - Tote Bag. Beautiful Twin Peaks tote for every Dale Cooper fan. 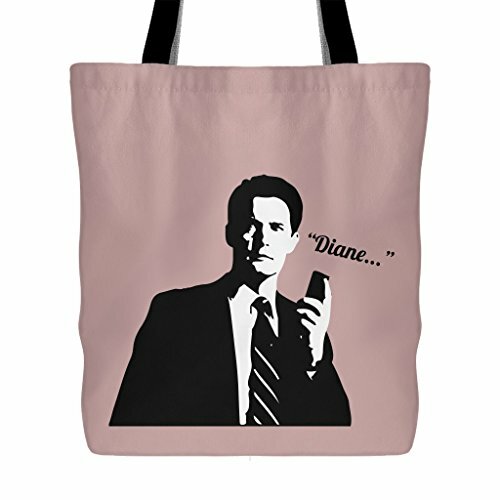 Coop with his recorder saying "Diane..." If you like Twin Peaks, you will love this tote bag. 18" x 18" Tote Bag, 100% spun polyester poplin fabric. Black fabric lined, Dry or Spot Clean Only. Printed on both sides. If you are looking for a gift for a Twin Peaks fan or you want to make yourself a little more happier, this tote will do the trick. Dale Cooper on your tote? Oh yes. If you have any questions about this product by Twin Peaks Dale Cooper With Recorder Totes, contact us by completing and submitting the form below. If you are looking for a specif part number, please include it with your message.